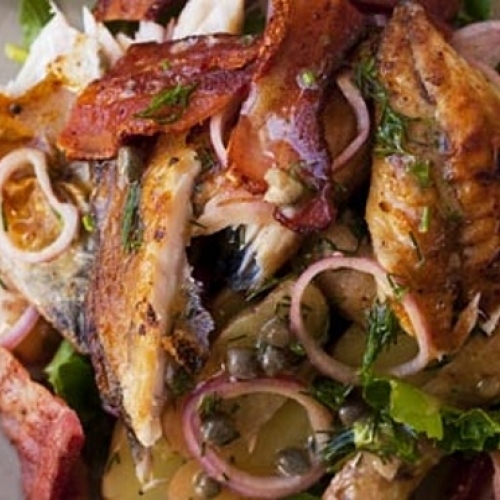 A warm salad of hot mackerel, warm potatoes, capers, crisp bacon and parsley. 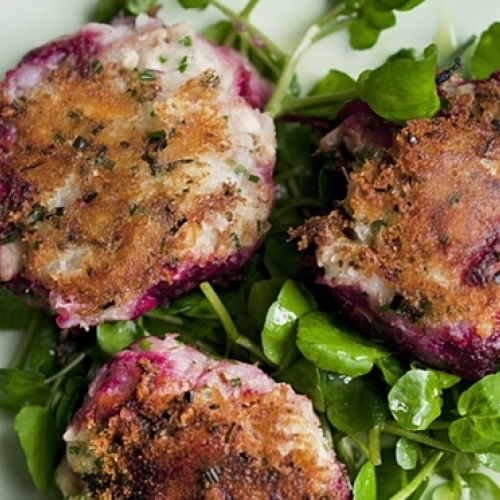 Smoked Mackerel fish cakes with beetroot, grated fresh horseradish and chives. 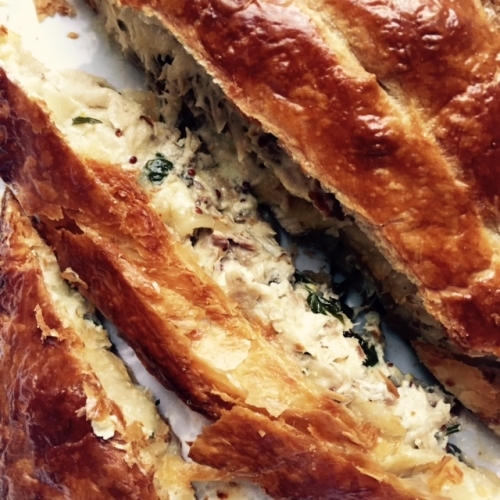 A quick and easily made puff pastry pie with smoked mackerel and creme fraiche. 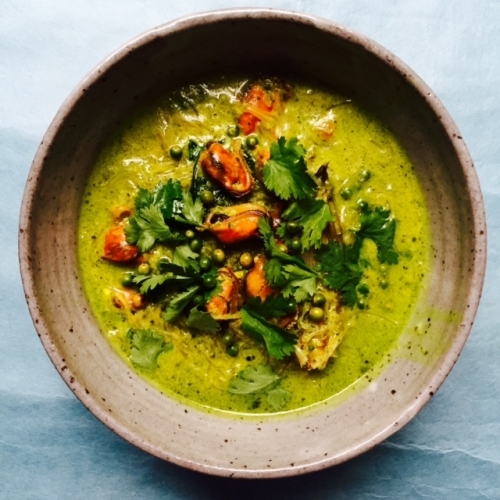 A noodle soup with chilli, lemongrass, coconut and mussels. 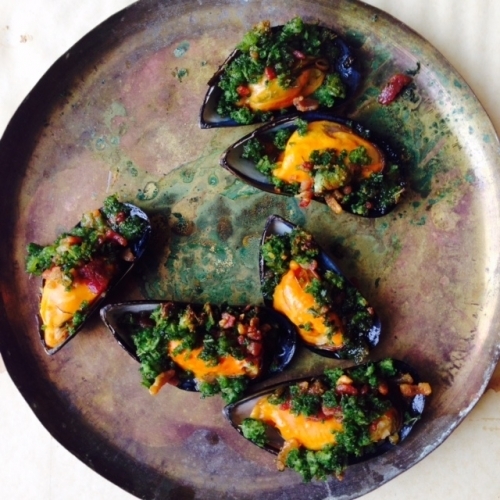 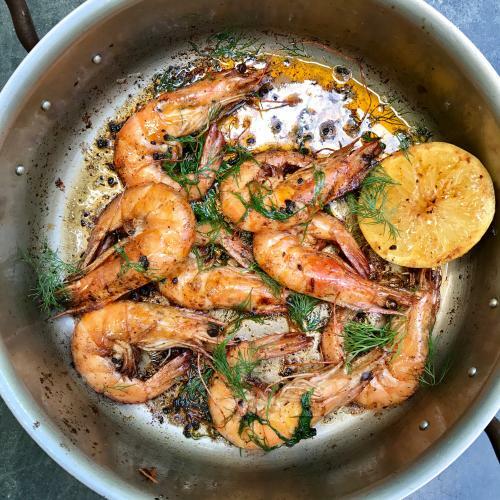 Mussels on the half shell, grilled with a bacon and tarragon crust. 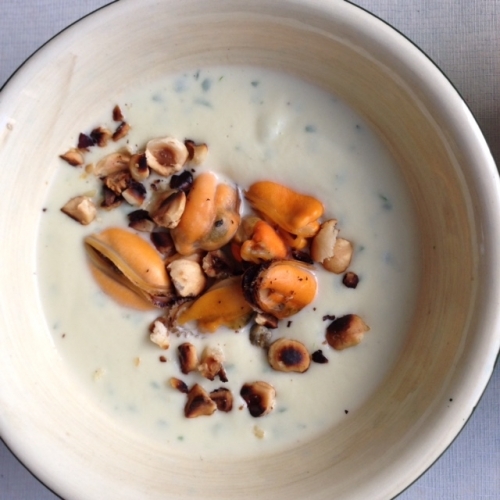 A creamy cauliflower soup, steamed mussels and toasted hazelnuts. 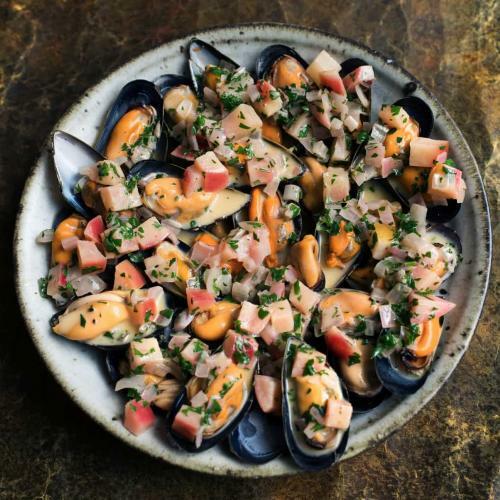 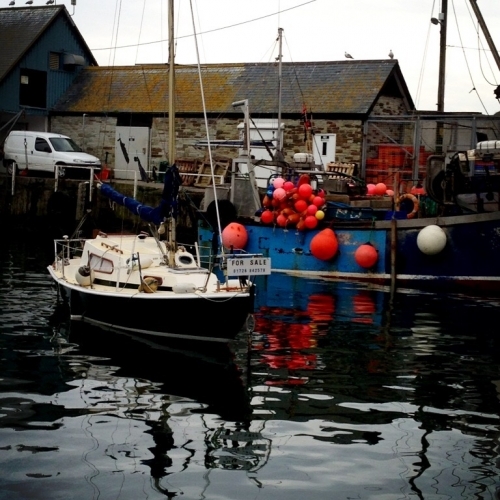 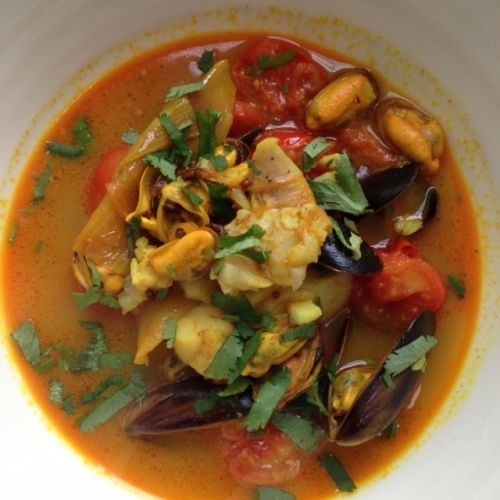 A soup-stew of clams, haddock and mussels with red and yellow peppers and fennel. 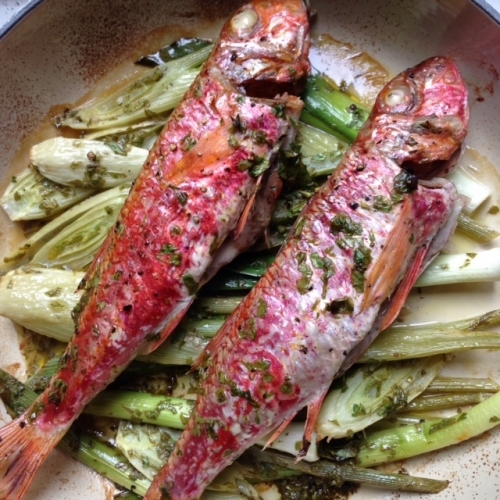 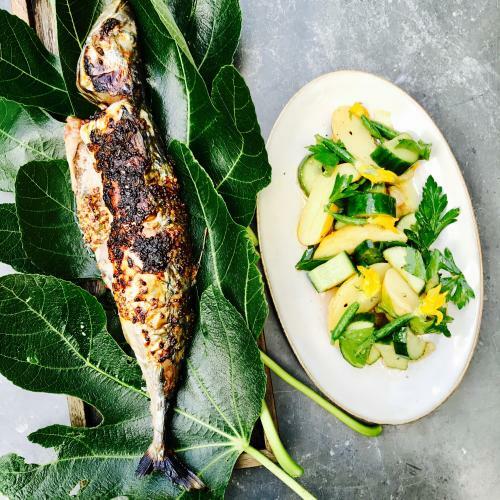 Baked red mullet with fennel, leeks and parsley for late summer and autumn. 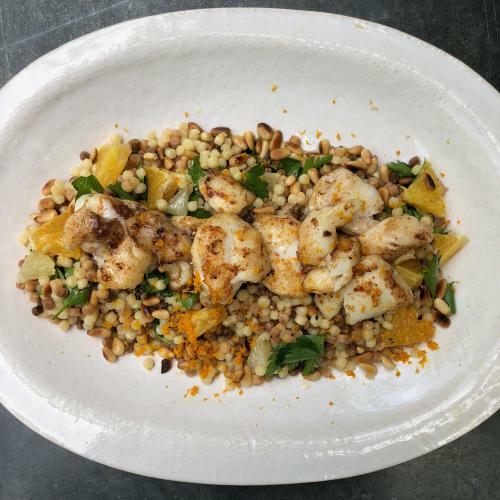 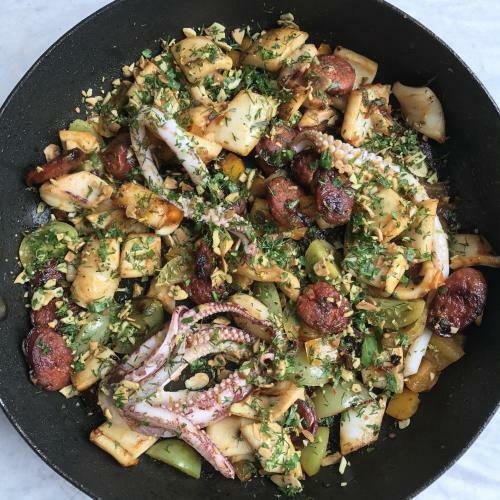 Fried chorizo and squid with a dil, lemon and almond picada. 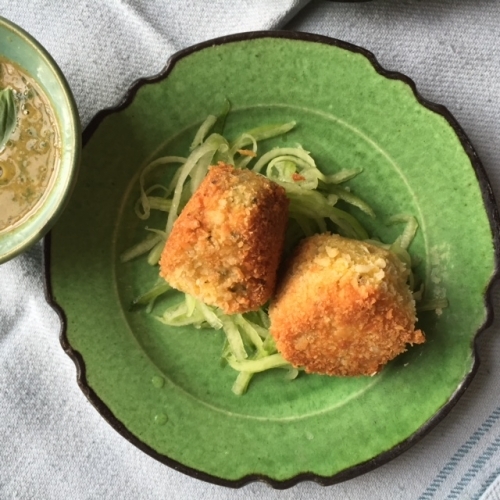 Crisp haddock cakes with a lemongrass and blissful dip of sesame, basil and lime. 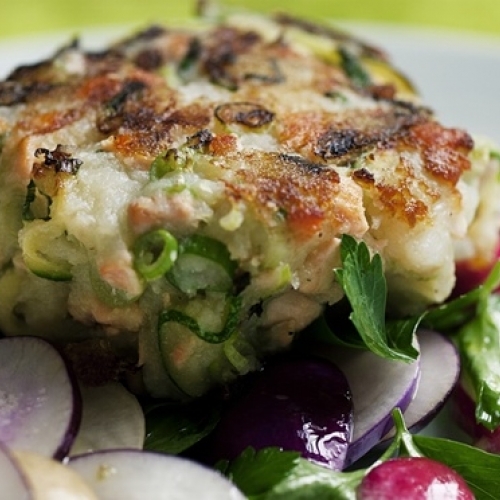 Rough, loose textured cakes of salmon, grated courgette and spring onion. 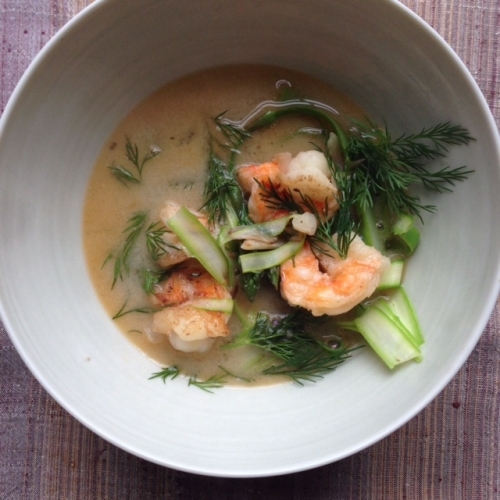 A bright tasting tomato broth, similar to the one I had I Helsinki's fish market.